It's back to school season ya'll! 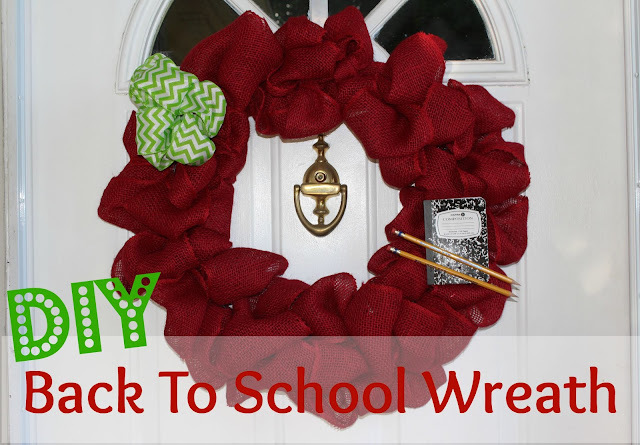 Fall is one of my favorite seasons and I have been wanting to get my hands on a new back to school wreath for quite some time! I've been really scared to make the burlap wreaths (I have no idea why) but after googling and watching several tutorials, I finally went for it and I'm so happy I did! I'm not the craftiest person in the world and this wreath could be as simple as you want it or as decorative as you want it. I will probably add a ruler to one side but otherwise, I really like it the way it is! The key to the perfect wreath are the bubbles, when you first start, take your empty wreath & with one end of the burlap make a knot at the middle section. Then push the burlap thru one of the sections of the wreath, I went up first, than came back down. After you push it through, twist it so that your loop or bubble stays in place. Then repeat. It's so important to twist at the base after each bubble, this is what keeps them in place. I really squished mine together so I'd have a more full look which is why I used so many rolls of burlap. It took me about 3-4 tries the first time I did this, like I said I'm not crafty at all so had no idea what I was getting myself into too. However after the first couple of sections, I had it down and it was easy after that! 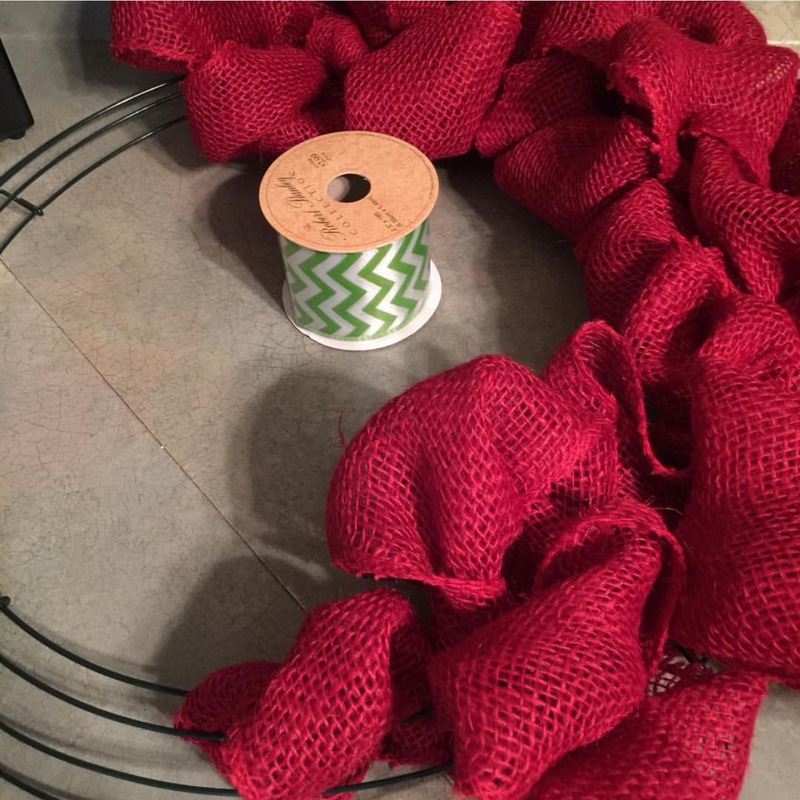 After you've made your way around the entire wreath, cut off any extra and tie another not. I kind of hid mine in the back of the wreath so you wouldn't be able to see them. Just remember to be patient, it takes practice! The nice thing about burlap is it's so flexible, it can bend, turn, fold any way you want or need it too! Once I was done with the burlap, I just hot glued on my other pieces, the bow and school supplies. So what do you think? Not bad for my first burlap wreath, huh? I can't wait to make more, I'm already thinking of Halloween colors and designs! That's a super pretty wreath! Seeing your wreaths make me want to make one! I've never been super crafty but I think I can make one now that you've shown me a few times. Just have to get to the craft store! Thanks!